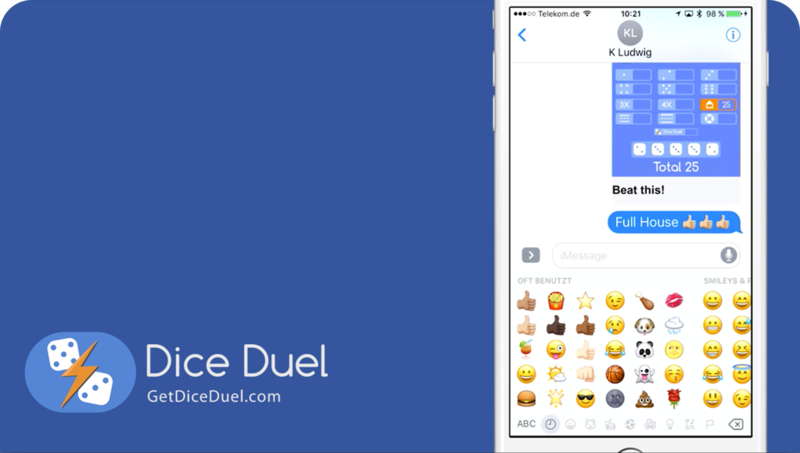 Now you can play Dice Duel in iMessage! 2 successful titles, 3 new platforms and more than a few exciting challenges – 2015 was a very intense year for the b-interaktive team. And we’re not even thinking of slowing down: 2016 will be even better! Long, long time ago games were just games. No silly in-game currencies. No irritating time limits. Just simple rules, intuitive controls and hard reality. b-interaktive is a young development studio for mobile games and apps headquartered near Dortmund. It focuses on real-time social games which connect players all around the world — on all platforms and across all app stores. More and more women are interested in games: social games for mobile devices are highly desired. Over a year of intense work, the best idea in the world and top charts in countries worldwide – Emoji Stars hits the App Store and changes the way we all think about music. Emoji Stars – Interactive music quiz with emoticons available now for free on the App Store! Schwerte, Germany; February 19th, 2015 – Enthralling music quiz ’Emoji Stars’ by German publisher b-interaktive is now available for iPhone, iPad and iPod touch. The free-to-play game is an incredibly fun and creative quiz in which players have to guess and describe song titles using only emoticons – a musical stroke of genius that will dazzle not only music lovers! Emoji Stars – Take The New Ultimate Music Challenge! Schwerte, Germany; 27th January 2015 – Headed to iPhone, iPod touch and iPad devices mid-February – Emoji Stars, the musical brainwave from German publisher b-interaktive – a FREE and endlessly fun Social Creative Music Quiz guaranteed to keep passionate music lovers enthralled with a unique multiplayer cooperative challenge!